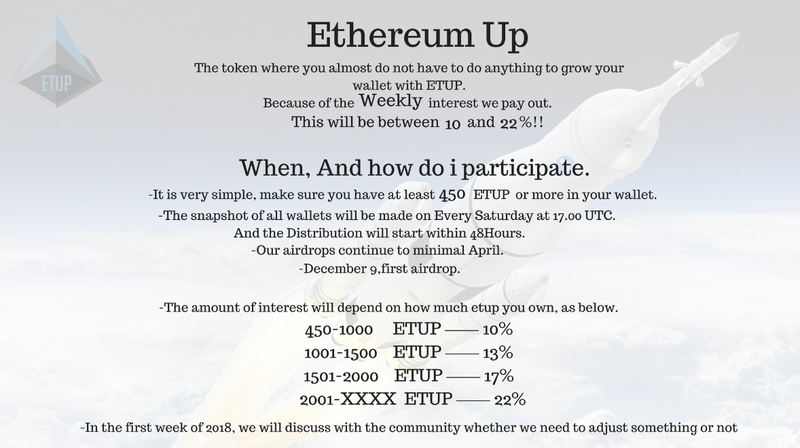 Ethereum Up Token are ERC20 tokens issued on Ethereum blockchain. Token holders can easily store and manage their coins/tokens using existing Ethereum clients including official Ethereum wallets like MyEtherWallet, Metamask, Parity, Mist. How can I see Ethereum Up in my Ethereum wallet? Click on save, after that it shows your balance. 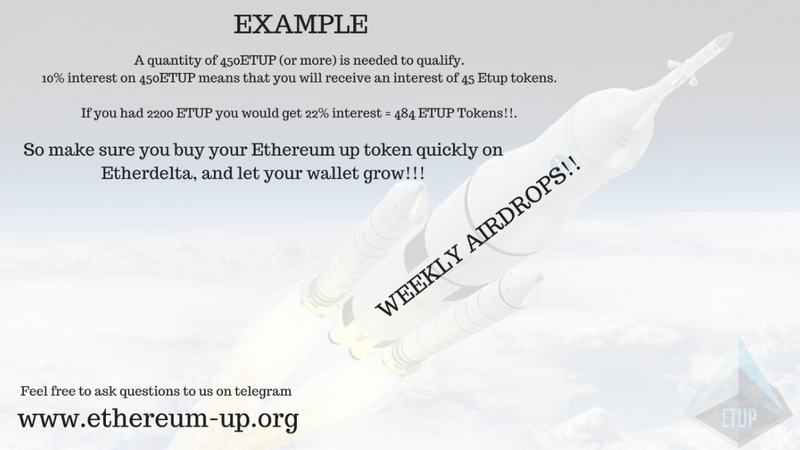 Can I save my ETUP on an Exchange wallet to qualify for the airdrop? No you have to keep it on your private wallet when the snapshot of all wallets will happens.